Rabbit Stew: Mushroom: NOT from Tesco's! 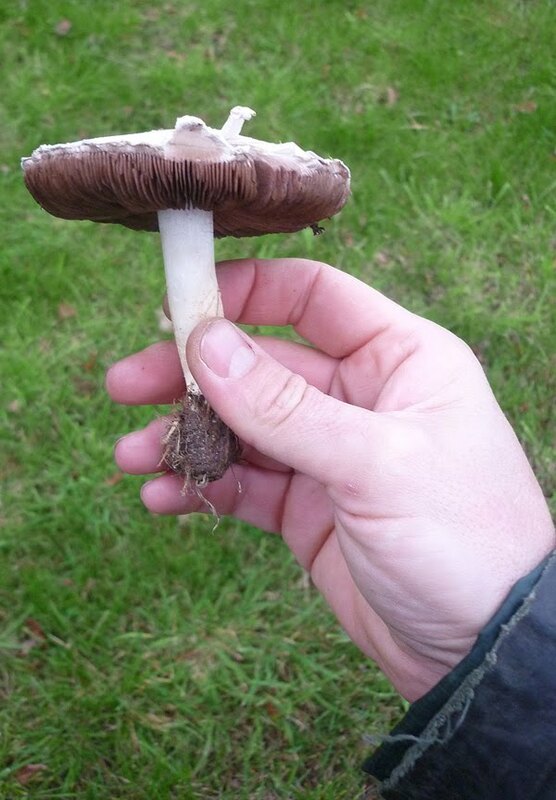 I have now picked, strenuously identified (thanks to John Wright's River Cottage Handbook ) and consumed one Agaricus campestris - a common field mushroom. Initial reports suggest that I am not dead. I've been watching the image of your hand holding the mushroom for the last 30 minutes and you have not moved an inch. Either you are holding your hand very still, or you are at least somewhat dead from mushroom poisoning. Please provide some other proof of life. No, I can confirm he isn't dead!! As his fingernails haven't carried on growing!! !